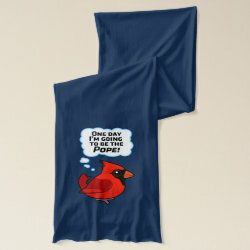 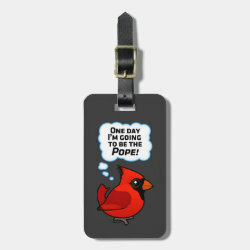 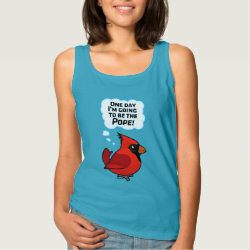 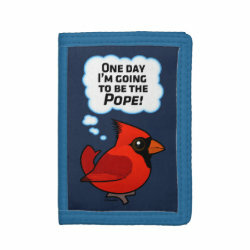 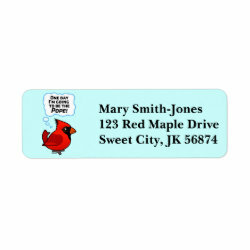 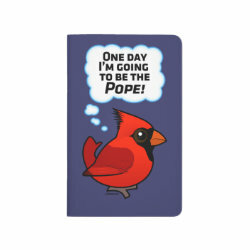 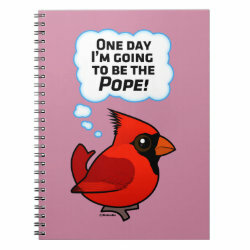 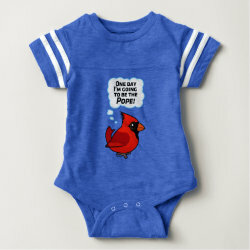 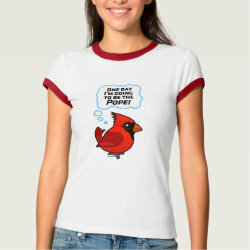 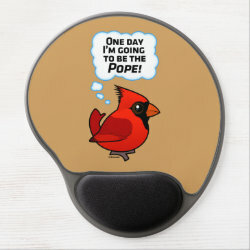 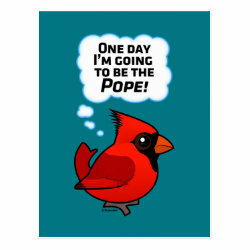 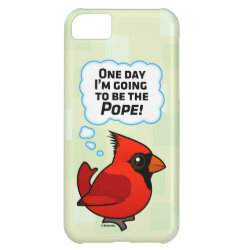 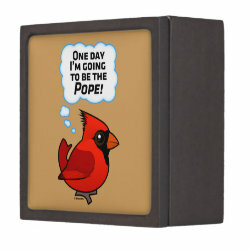 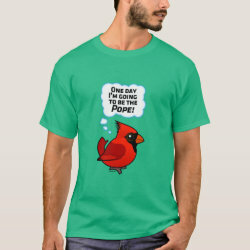 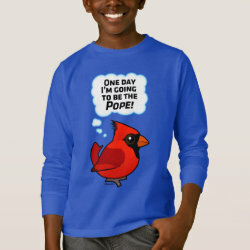 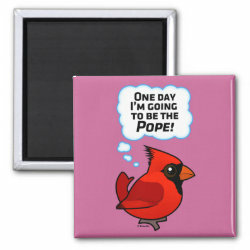 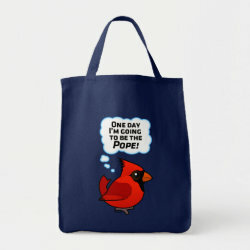 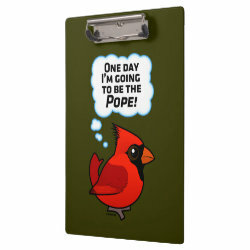 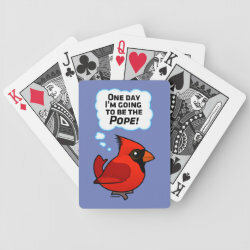 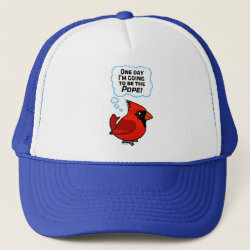 Funny Northern Cardinal Products: Going to be the Pope! 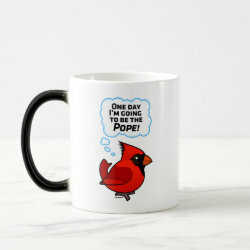 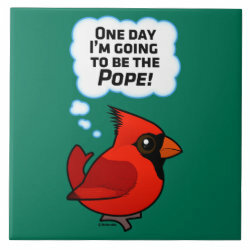 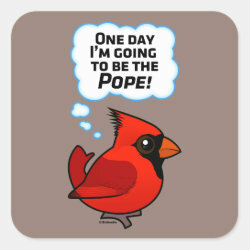 This cute cartoon Northern Cardinal, a common backyard bird in North America, thinks: "One day I'm going to be the Pope!". 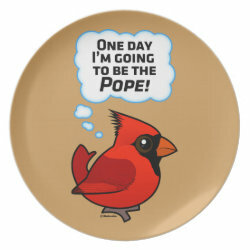 This is a funny design for birdwatchers, backyard birders and cardinal lovers.